By now, you have likely heard that the World Health Organization (WHO) has added red meat and processed meat to its list of carcinogens. This has spawned countless misinterpretations of the data as people try and understand what it all actually means. The matter is not as simple as saying “WHO reports red meat causes cancer.” To do so is an intense disservice that risks more harm than good. Fortunately, what the WHO has said and its reasons for saying so are not so complicated that they cannot be explained. The International Agency for Research on Cancer (IARC) is the branch of the WHO that focuses on cancer research. Part of their job is to evaluate whether substances or foods are or are not carcinogenic and categorize them. Red meat and processed meats are both eaten worldwide and are already associated with various other health conditions. This made them a strong candidate to look at for carcinogenic risks. For purposes of clarification, the term “red meat” refers here to any mammalian muscle meat such as beef, veal, lamb, mutton, horse, goat, and—despite its claim as “the other white meat”—pork. “Processed meat” refers to any meat that has been salted, cured, fermented, smoked, or undergone other preservative or flavoring processes. This category can include poultry as well as mammalian meat. Hot dogs, ham or turkey slices, corned beef, jerky, canned meat, and meat-based preparations and sauces are all examples. Red meat is being classified as a Group 2A carcinogen. 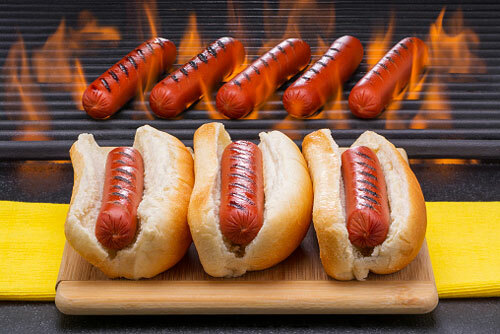 Processed meat is being classified as a Group 1 carcinogen. The carcinogen groups are determined by strength of evidence rather than severity of risk. A Group 2A carcinogen is one in which “limited evidence” exists, a term that the IARC uses with a very specific meaning. Limited evidence, in this context, means that studies have shown a correlation between red meat consumption and cancer risk but that other explanations for these findings have yet to be ruled out. In other words, Group 2A is where something goes when it “could” cause cancer but people aren’t sure if it actually does. Another way to look at it is that Group 2A contains substances that “in theory” can cause cancer, but there hasn’t been enough human research done to say for certain. Substances supported only by animal trials also fall in this category. A Group 1 label is more serious, but still not as immediately bad as it first appears. Group 1 is when there is “sufficient evidence” that something is linked to cancer. Sufficient is another term with a very specific meaning and when used by the IARC it refers to a strong causal link in which other factors have been ruled out. Asbestos and tobacco are also Group 1 carcinogens. The key point to remember is that carcinogens are grouped by evidence, not severity. Processed meat being in the same category as asbestos does not make the two equally dangerous. There is in fact an order of magnitude between the dangers of smoking and the dangers of bacon. Specifically, the IARC found that eating 50 grams (1.8 ounces) of processed meat each day resulted in a roughly 18% increased risk of developing colorectal cancer, along with a non-conclusive link to stomach cancer. For red meat, the association is with colorectal, pancreatic, and prostate cancer, but limited evidence means that other factors are not fully ruled out. Although the IARC cautions that the red meat findings are not conclusive of a causal relationship, it notes that if one did exist, the current research would place the 100 grams (3.5 ounces) of red meat daily as producing a 17% increased cancer risk. Whether certain ages, genders, or ethnicities are more at risk from eating red or processed meat. Whether certain processing or cooking methods raise or lower the carcinogenic risk. How the risk is comparable across different kinds of red or processed meat. Whether fish or poultry is a better alternative (the review only looked at studies on red or processed meat). Whether meat from animals raised with or without antibiotics and added hormones has comparable carcinogenic risk. Whether the same risks apply to newer alternatives like turkey bacon or grass-fed beef. Whether eating red meat or processed meat has an effect in people already experiencing colorectal cancer. Depending on your eating habits, the IARC findings may not impact you much or at all. Then quantifiable risk, keep in mind, is only at 50 grams or more of processed meat per day. Health officials have long been advising limiting meat to just three servings per week as well. While the IARC findings may make you shy away from burgers if you have a predisposition to colon cancer, not everyone needs to take the same steps. It is also important to note that “carcinogenic” and “unhealthy” do not always match up evenly. Sunlight, for instance, is vital for the production of vitamin D, but is also another Group 1 carcinogen. Similarly, oral contraceptives and postmenopausal estrogen treatments are also Group 1. Meat, for its part, is a great source of nutrients like protein, iron, zinc, and B vitamins. The best takeaway is that moderation is important. As long as you stick to three servings of meat each week, you can stay in the clear. “Appendix F To 1910.1200 – Guidance For Hazard Classifications Re: Carcinogenicity (Non-Mandatory),” Occupational Safety & Health Administration web site, https://www.osha.gov/dsg/hazcom/hazcom-appendix-f.html, last accessed October 27, 2015. “IARC Monographs Evaluate Consumption of Red Meat and Processed Meat,” International Agency for Research on Cancer web site, October 26, 2015; http://www.iarc.fr/en/media-centre/pr/2015/pdfs/pr240_E.pdf. “Known and Probable Human Carcinogens,” American Cancer Society web site, http://www.cancer.org/cancer/cancercauses/othercarcinogens/generalinformationaboutcarcinogens/known-and-probable-human-carcinogens, last accessed October 27, 2015. Mayer, A., “Processed Meat’s Cancer Link Unlikely to Change Habits, Experts Say,” CBC news web site, last updated October 27, 2015; http://www.cbc.ca/news/business/cancer-red-meat-processed-1.3289580, last accessed October 27, 2015. “Q&A on the carcinogenicity of the consumption of red meat and processed meat,” International Agency for Research on Cancer web site, http://www.iarc.fr/en/media-centre/iarcnews/pdf/Monographs-Q&A_Vol114.pdf, last accessed October 27, 2015.